A hoverboard only sounds like something out of a “Back to the Future” movie, right? 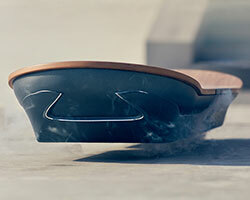 Well, Lexus is claiming they have created a real hoverboard – they call it the Slide – that will use magnetic levitation, liquid nitrogen-cooled superconductors and magnets to develop a skateboard, which can literally levitate off the ground. But there’s a catch – there needs to be something magnetic (such as a magnetic track) underneath for it to work. 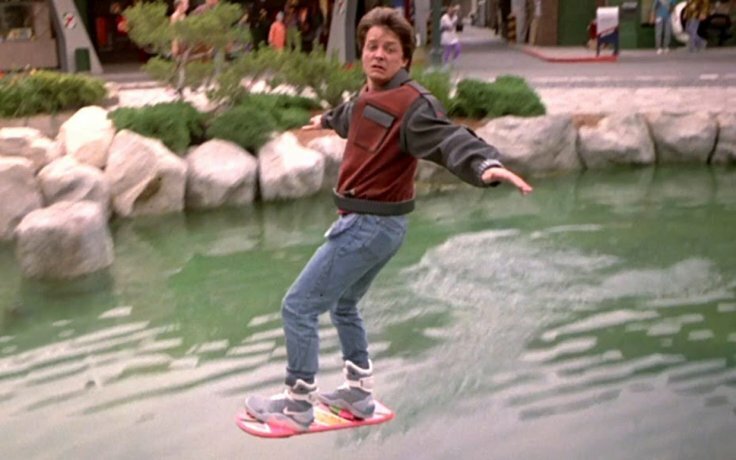 In “Back to the Future 2” Marty Mcfly flys with a hoverboard when they visit the year 2015. Coincidence? Still, in order to make the hoverboard levitate, Lexus had to build their own skate park lined with magnetic tracks, where they could showcase how the hoverboard works. This one and only magnetic skate park they built is located in a village just outside of Barcelona, so it is highly unlikely that any consumers will get the chance to try it out. Even if this hoverboard became available for purchase, you could not ride it on regular cement. So for now, they aren’t giving any more details about the hoverboard, but they say consumers can expect to learn more about it in a couple months. What do you think, will Lexus release this product to consumers? Will it ever be truly possible to create a overboard?